The good news is that there are no real stinkers this week, as we try to get you some of the cream of the crop, with the occasional warning to steer clear. Let’s take a look in detail. 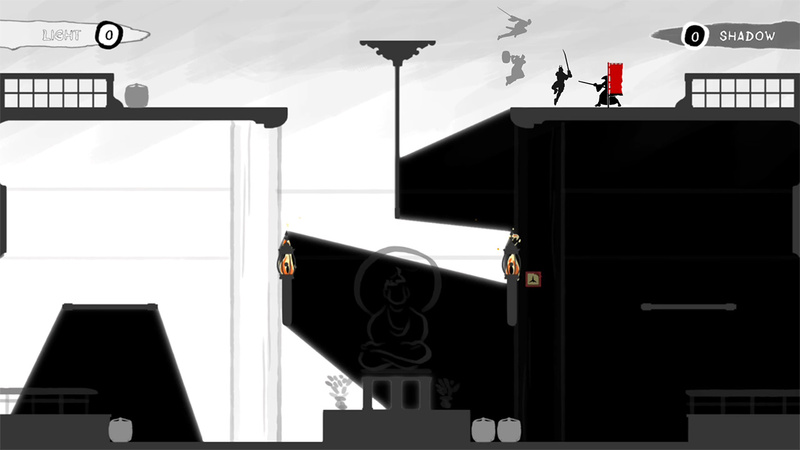 A unique concept that provides some genuinely fun local multiplayer gameplay, Black and White Bushido unfortunately suffers from a bit of a shallow pool of content, in addition to a seriously woeful single player AI. In this monochromatic, samurai experience, you’ll fight against fellow warriors or bots in standard modes you’d expect; deathmatch and capture the flag, in addition to a training mode to hone your skills. While the variety in modes is very limited, it is an engaging local multiplayer experience, similar in some ways to the popular TowerFall, providing that ‘friendship ending’ fun (if playing with three other humans). Like TowerFall, you fight on stages where you pass through the screen, only to come out on the other side of the map, allowing for some tactical moves that always require your guard to be up. The control is also tight and really enjoyable; the wall jumping, parkour action and ability to slice to the side for an additional jump make gameplay with multiple players frantic, and enjoyable. The main hook of Black and White Bushido comes from the former half of its name; the stylised, black and white palette doesn’t just make the game look super cool, it also allows each team to blend into half of the background at any given time to utilise stealth. The screen will also change to expose hiding players at various times, which can be crucial when going in for the kill. There are also items to utilise, though you’re not aware of what you’ve picked up at the time, so it’s a bit random. The main issue comes from the really poor single player AI. One match we played had all three opponents simply jumping up and down for the whole match whilst we captured the flag three times over. Disappointing. The visuals of Black and White Bushido are great, but they're difficult to see when viewing the whole screen in tablet mode. The use of the monochromatic palette, with the occasional splash of blood, is really satisfying, making grabbing a kill all the more pleasing. The art style is in fact (perhaps unsurprisingly) very reminiscent of the Samurai Jack cartoon series, which is anything but a bad thing. The four characters and seven stages (including one unlockable) are all well designed, with the latter’s use of unique taunts a really nice addition. 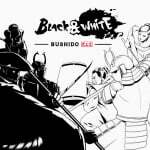 It’s a shame then, that Black and White Bushido feels a bit bare bones when it has some really great elements along with a unique premise going for it. It’s fantastic for an hour as a local multiplayer party game, but not recommended for extended single player use. If you’re someone who suffers from déjà vu, then Necrosphere Deluxe might exacerbate this problem, as you’ll spend 99 percent of your time in this game dying, instantly respawning to a checkpoint and trying to figure out its fiendishly difficult platforming puzzles, only to die again. You take on the role of recently deceased Agent Terry Cooper, trying to make your way out of the afterlife and back into the world of the living. Along the way, you’ll find scrolls that reveal more of the plot, though the focus is absolutely more on the simple gameplay. About that gameplay; Nercrosphere Deluxe only uses two buttons, taking Terry either right or left. It’s up to you as the player to navigate the environmental hazards and use objects (usually taking the form of a bubble) to allow you to jump, climb, or duck your way to the end of each section. As a ‘mini Metroidvania’ experience, the entire world is one vast, ever-expanding map, though there isn’t a minimap to help you navigate. The backtracking element comes from finding upgrades such as a jetpack, which give you a few more options and allow you to reach areas that you previously couldn’t. What’s frustrating, however, is having to go back and complete some of the harder puzzles for a second time. Frustrating is a good word to describe Necrosphere, as some of the conundrums it presents you with are brutally annoying to figure out. However, the resolution to solving them is rewarding, requiring both solid thought and quick reflexes. The use of a button on either Joy-Con is quite jarring at first, though you get used to it. The option to use the Joy-Con individually would have been nice, considering the game's incredibly rudimentary control scheme. 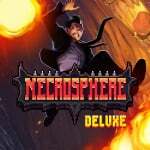 Aesthetically, Necrosphere Deluxe is fine, but not stand-out brilliant. The 8-bit style pixilated visuals serve to support its increasingly brutal puzzles, but aren’t anything inspiring. The soundtrack, however, is fast-paced, retro, and very cool, keeping the insane momentum going across all fronts. In review, Necrosphere Deluxe is a short and hard as nails platformer that’ll have you shouting in frustration, but defeating it is very rewarding. The backtracking through previously-completed puzzles is frustrating, but hey, at least it gives you more bang for your buck. 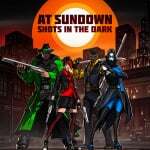 A hide-and-seek multiplayer shooter, At Sundown: Shots in the Dark shares many traits with the excellent Screencheat, which we covered a few weeks back. Both have you hiding from opponents in tense deathmatches, with only limited opportunities to see them. In At Sundown, this takes the form of spots of light and trails of movement, as well as the obvious gunfire spots. 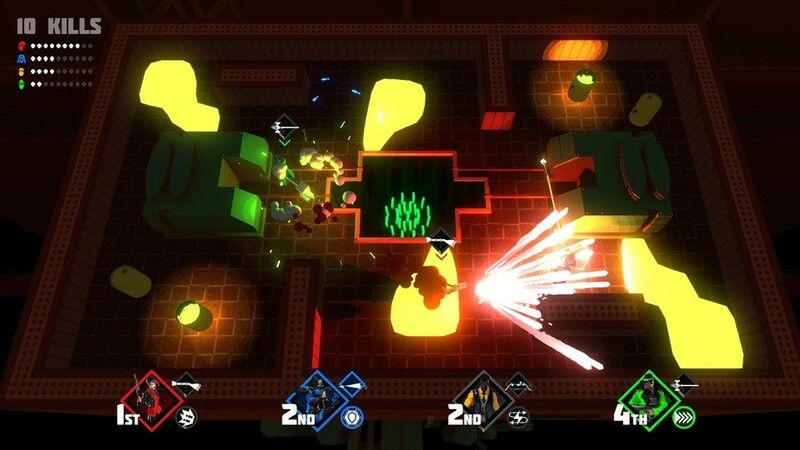 The control can be a little tricky to get hold of at first, especially when using the Joy-Con, but once mastered, this can be a seriously fun and addictive party game. You’ve got all of the standard modes you’d expect: deathmatch, timed match, arena matches and the like, though all are very similar, with no crazy creative modes. The weapon choice is also a little tamer compared to its first-person cousin, with your standard array of real-life guns to choose from. However, the top-down perspective really works a charm, making it feel like a blend of the best parts of both Screencheat and Wondershot, both of which are excellent in their own right. The control feels a tad stunted at first, but as mentioned, you soon become accustomed, at which point, it provides first-rate multiplayer fun. There is also an online component, should you wish to test your skills out on players around the world. Finally, the array of maps may seem weak, but each setting has a variety of different rooms where the action can take place, which does at least add some sort of diversity, even if the scenery remains the same. 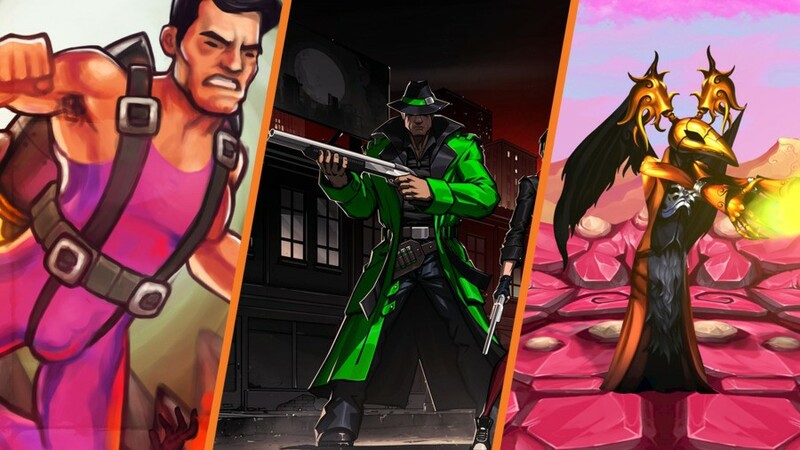 In terms of its visuals, At Sundown is serviceable, with each of the characters having cool Saturday morning cartoon-style designs and somewhat pretty maps. Again, At Sundown is another example of a game that certainly pushes its gameplay as a priority over its aesthetic, but what we get certainly isn’t bad. The graphics are serviceable too, again adopting the cartoonish style, which is great. The soundtrack is a bit stock, but if you’re playing it right, you likely won’t be paying attention during the intense firefights anyway. In conclusion, At Sundown: Shots in the Dark is another fine example of a party game experience that is at its best when played with four human players. The online element is also a welcome feature, but games like this are best enjoyed with some mates on the couch with a big packet of Doritos, in our experience. 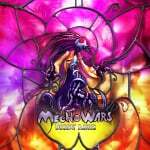 Mixing up the variety of genre this week, we have the strategic RPG, Mecho Wars: Desert Ashes, which sports an incredibly imaginative steampunk-infused aesthetic, alongside decent gameplay, that players of the Advance Wars series will be accustomed to. That said, Mecho Wars is unfortunately let down by a rather stock and dull plot that doesn’t match the wonderful visual style of its creatures. The dialogue mainly consists of generic commands and orders, and doesn’t match the weird and wonderful tone set by the visuals, which is a shame. 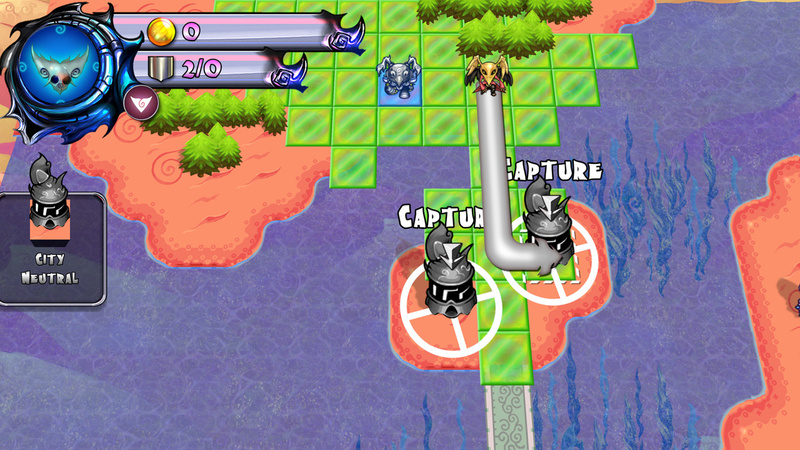 Gameplay-wise, however, Mecho Wars is familiar and solid. It takes the tactical gameplay of the Advance Wars series, where your goal per level is to take enemy settlements, turning them into your own and gaining gold, which you can use to bolster your units to decimate your opponents. The AI is suitably challenging and the single-player campaign has a great difficulty curve that introduces you to mechanics level-by-level, rather than throwing you in all at once; a sign of great game design. The units are what you’d expect: heavy, ground, aerial and water-based, and they all have their own perks and drawbacks, leading to some tactical thinking of which option is best to purchase dependent on your current situation. You also have the options of both local (via controller sharing) and online multiplayer, allowing you to complete arcade-style matches, which is equally enjoyable. Overall, the gameplay is functional and addictive, as well as being fairly simple. However, where Mecho Wars: Desert Ashes really comes into its own is its delightfully surreal art style. There are influences aplenty, from archaic, Lovecraftian horror, mixed with a bizarre cocktail of Blade Runner’s neo noir, Dishonoured’s steampunk and even a hint of the Marvel Cinematic Universe’s cosmic quirkiness in there. It’s weird, but awesome. That said, it's unsatisfying when the narrative is so poor, which is a shame, because the rest of the game is so good. A great lore with compelling characters and dialogue alongside these visuals could’ve made it something really special. That said, we enjoyed Mecho Wars: Desert Ashes for what it is and it would be unfair to judge it for what it isn’t. It’s a great strategic RPG that boasts an amazing art style and some solid, if familiar gameplay. Good stuff. Our final pick for the Nindie round up today is a twin-stick shooter RPG with ambitious visuals and plot, and gameplay that can be a tiny bit shallow. 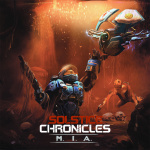 The premise of Solstice Chronicles: MIA takes a few cues from popular AAA shooters of the past few decades, such as its Mars-based setting straight out of DOOM and its robot companion, Saffron, reminiscent of AI helpers in both the Halo and Destiny series. The plot is pretty standard, with a huge invasion of mutant creatures overtaking the planet, leaving our lone hero as the only survivor. The marine’s dialogue is a tad clunky and his line delivery generally below average, but our AI friend Saffron has a healthy infusion of sass and a better voice actor that lets the dialogue scenes breathe more naturally. Solstice Chronicles: MIA gives you the option of four classes before stripping you of your equipment at the beginning, Samus Aran-style. The four classes – Assault, Demolition, Hellfire, and Terminator – introduce the RPG elements, allowing you to upgrade your gear between levels. The latter two are a little dull, but the flamethrower-wielding Hellfire and the self-destructing Terminator provide some really unique ways to play. Saffron also plays a big part in gameplay, with options for her to use a bomb, taunt enemies to distract, block their attacks and scout ahead to scope out the oncoming wave. The level of progression isn’t quite as extensive as we would’ve liked, which is a bit of a shame; the classes seem promising, but the skill trees are a tad limited. 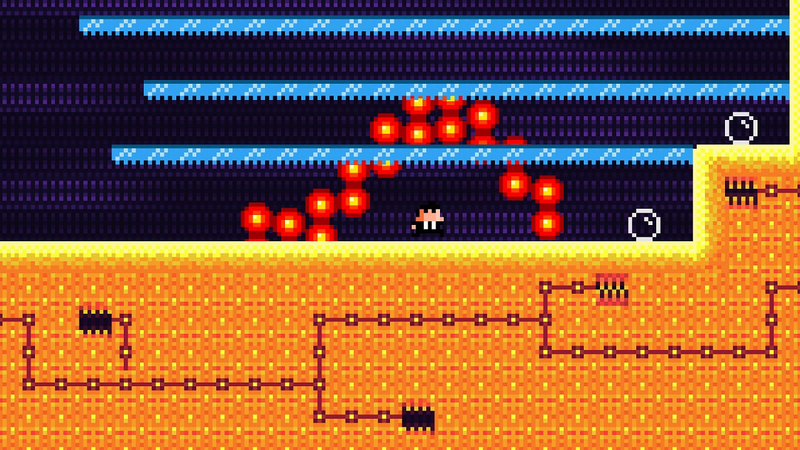 Enemies will appear according to your threat metre at the top of the screen, which will indicate how many are en route. The main issue is that making it to scripted events as the main goal somewhat nullifies incentive to fight most enemies, in addition to ammo being so generously distributed. Thus, the game becomes a race to the finish and also doesn’t encourage a huge amount of exploring. 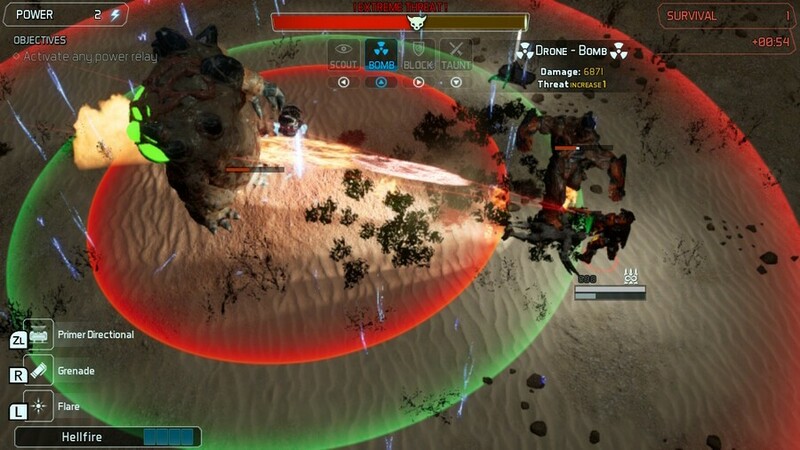 The control is fine, but kills don’t always feel super satisfying, even with the melee attack, with both gunfire and hard hits lacking the ‘oomph’ to make them cathartically pleasing. Solstice Chronicles: MIA opts for a pretty ambitious, AAA style of storytelling, with fully-rendered 3D cutscenes and voice acting to recount its exposition. This doesn’t always hit the mark, as the aforementioned scenes are fine, but more reminiscent of last generation graphics, rather than pushing the Switch to its limit. The top down perspective for the main gameplay segments works well, but again, a slightly more zoomed-in approach might’ve been more welcome. In review, Solstice Chronicles: MIA is a mixed bag. It has some admirable intentions, but doesn’t always stick the landing. The dialogue is actually well written and both the aesthetic and gameplay are more than passable, but there is a feeling that with a little bit more attention, it could be even better. Still, as we said in the Mecho Wars review, we review games based on what they are, not what they could be, and Solstice Chronicles can still provide a good time for anyone looking for some two-stick shooter, RPG chaos. Will you be getting your hands on any of the above titles? Do you agree with our opinions this week? Let us know in the comments below. Is this a new review system? @Judgedean NL has been making these short Nindie round-ups for the past few weeks. Since so many indies release each week, this system makes reviewing much faster. Thinking about Solstice Chronicles but I'm not 100% sure just yet. can't say any of those look good to me. My next purchases will be the 3x O's, Observer, Odallus and Oniken. Just spotted a nice looking shoot 'em up on the Eshop called Devil Engine. Hopefully that will feature in one of these roundups if it doesn't get a full review. That second game looks like digital puke. @Judgedean something new they've been doing for indie titles. I appreciate the short-form style. Usually something in these features that I find interesting. Not this time. Kind of surprised. Football Heroes Turbo should be included in one of these (if you aren't giving it a full review). It is much better than many games that have gotten reviews and is worthy of people's time. Some bad looking games here. Glad to hear you ultimately enjoyed Necrosphere, Nat. It's exactly my kind of game, and I had a really good time with it back at the original release. The music (and the un-music from the fourth area) really stuck with me. Terry's Dream, however? Ain't nobody got time for THAT! Really appreciate these mini-reviews, even when there's nothing that looks remotely interesting. At Sundown is a terrible game that me and my three sons regretted buying after only 1 hour of playing. The visuals are dated. The maps are very tight/small, half the time you don't even know where your own character is or you're trying to sneak unseen but you get stuck on something because you can't see your own character. We each picked it up at the pre-order discounted price of $15 and even that is too much. I wouldn't pay $10 for this game.....feels more like a $5 game in my opinion.